Many gifted people have a preference for a specific mode of taking in and processing information (verbal, imaginal and/or kinesthetic), yet our environments usually offer information in a certain mode which may or may not be an adequate fit to our preferred learning style. In this article, InterGifted coach Willem Kuipers invites us to reconsider our (gifted) learning preferences and to evaluate to what extent they match our real-life learning environment. The topic of learning styles almost regularly gives rise to heated debates in the field of education. Some scientists designate the topic as a costly myth, others are sure that it offers a possibility for improvement of knowledge transfer. One may safely conclude that observable learning style differences do not unambiguously translate into better teaching methods. But at an individual scale, many students will have tried to find out their personal best way to prepare for an exam. In this article, I reconsider our learning style preferences and evaluate to what extent they match our real-life learning environment. 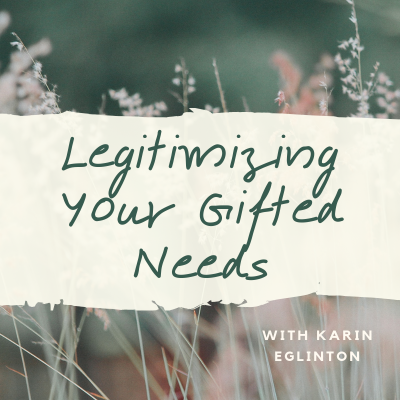 I am convinced that paying extra attention to our mode of information processing is especially relevant for gifted individuals. Verbal thinking versus imaginal thinking is one characteristic that specify how you are gifted. If you have a strong preference for one kind of thinking or perceiving over the other, you will become more effective when you take that into account while taking in and processing information. Here, I focus on verbal and imaginal thinking, but I have identified another eight facets in my model of Xidentity. Verbal thinking is thinking via a chain of words and notions, sequenced according to a logical structure. One may also rightly call it "thinking in notions," "sequential thinking" or "concept thinking." It is the accepted form of scientific reasons, is associated with the left side of the brain, and is one of the qualities that may give you an IQ score in the gifted range. Many gifted people can articulate their thoughts very well with words, thanks to a large vocabulary and a general proficiency in verbal thinking. However, verbal thinking can have its downsides: at the extreme, verbal thinking can be accompanied by an inclination to rationalize everything, and thus not being able to connect, or properly value, one's feelings and emotions. This can at times impede one's ability to make decisions, which reduces personal effectiveness. "imaginal". The image can be connected to sounds, feelings or other sensory impressions, and in that case imaginal thinking is an associative structure of experiences, perceptions or pieces of imagination. 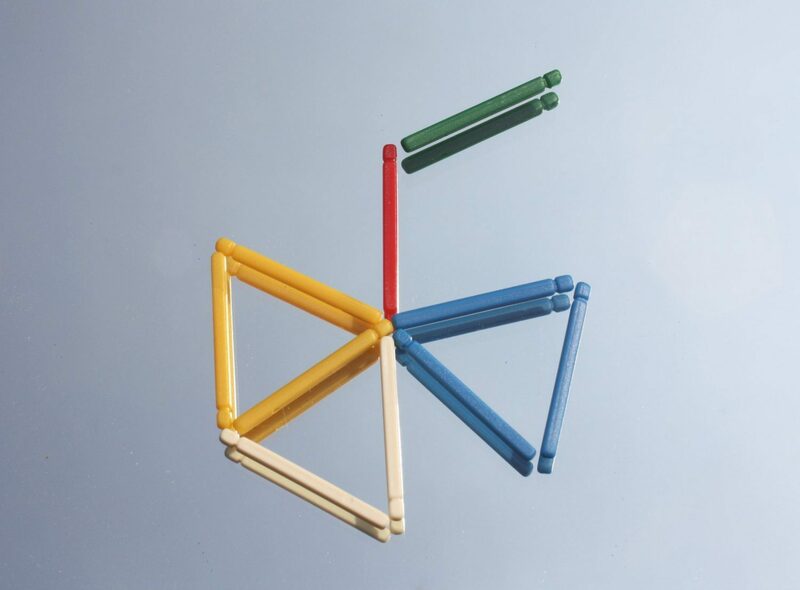 This form of thinking can be likened to what is commonly called “visual-spatial learning”. 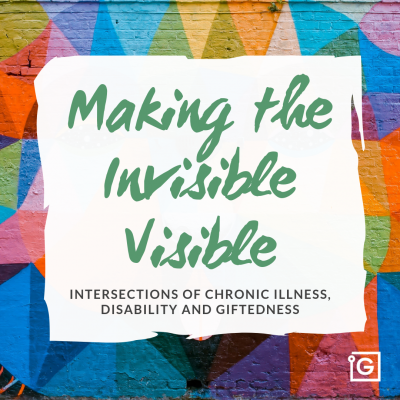 It includes our intuition and creativity, and can also be accompanied by some form of dyslexia or dyscalculia, which can make adapting to verbal thinking styles quite challenging. Imaginal thinkers “see” an idea or a solution to a problem in their mind. They can walk around it in their thoughts, sit in the middle of it, play with it creatively. Every way of looking at it provides another aspect of why it is a good idea or a good solution. But how do you explain something like that in words? Imaginal thinkers will usually start the spoken explanation somewhere in their current spatial thinking structure. While they are choosing the right words for their story, and forming the right sentences, they are constantly being bombarded with images of other relevant aspects. This sometimes leads to sentences not being completed, the perspective of the explanation shifting unannounced, and the audience giving up trying to follow it, to everyone’s great frustration. Imaginal thinking happens at high speed, usually with a frequency of some 32 images per second. This is so fast that our brain is unable to consciously observe each separate image. This does happen, however, on an unconscious level. Therefore, the result of the thinking process appears all of a sudden and as a surprise; you do not know how you got there. At the same time, you are almost certain that your answer is the right one, because you have unconsciously followed your train of thought. Gifted people are usually able to think in images to a great extent, but they are not always aware of this. Because they process information so quickly and may have built a massive library of (word) images in their memory, they are often able to mask this, but they may still perform unremarkably in verbal thinking areas. Alternatively they may consider it as a kind of private/ personal thinking, because they have experienced that it is rarely possible to explain it to others. This is because a gifted person thinks sensorially in relatively more dimensions and with huge leaps in thinking, which makes it difficult to explain to those complex associative thoughts in the sequential manner of a discourse. But thanks to their intuitive powers, gifted people can follow their fellow gifted peers' cascading thoughts without have to use many words. But there is more: There are people who need to physically move while processing information. They learn best by doing, not by listening or seeing. Most often they have good physical skills. When they are not allowed to move, they switch to their standby mode. That may have influenced their school career negatively, and instilled a lack of confidence regarding their intelligence. At work, lengthy meetings while sitting down may feel like torture to them. Kinesthesia is sense perception of movement: we have an internal sense that informs us about the relative position of all parts of our body. According to Gardner, Bodily-Kinesthetic intelligence is one of our Multiple Intelligences (see my webpage). In various learning style models (e.g. the VARK learning model) or perception models (e.g. NLP) the notion of Kinesthetic has been extended and is contrasted with Visual or Aural/Auditive. It may include people with a “tactile” learning style, who need to touch and feel something in order to decide whether they like it. For these people, just looking at something does not provide sufficient information. Sometimes “kinesthetic” includes everything that has to do with (awareness of) emotional feelings about something. This raises a question about the relation between being a kinesthetic learner and being highly sensitive, a quality many gifted people identity with. How does this relate to being intense? Do “Extra Intense People” innately use strong kinesthetic information processing? Do they need to take this kinesthetic information seriously in order to be able to express their intensity fully? Even if their main learning preference is auditive/verbal or visual/images? To my knowledge and in my experience, there is a big divide between “sensory” and “conceptual” information processing. Giftedness and academic eminence is associated with the latter variety, although you may have used your eyes or ears to take that (verbal or symbolic) information in. However, taking your processing of bodily sensations seriously is perceived as something totally different. Can you simultaneously process your conceptual information, or do you consider them totally separate? 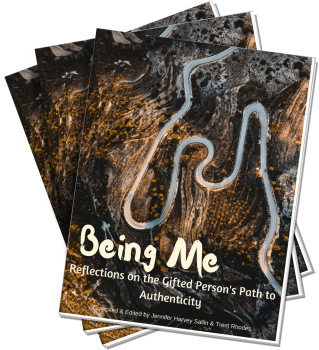 Another question: how can one – through bodily sensations – feel confident about being gifted? After all, people with a strong kinesthetic learning preference can only feel the validity and relevance of their giftedness when they have experienced it in some way or another. Old memories of being earmarked as (rather) dumb can impede such feelings. The inner acceptance of being gifted develops through an intuitive and/or bodily awareness that helps you recognize the typical gifted character traits in yourself. But it can be hard for “Active Doers” e.g. extraverted kinesthetic learners to gain access to their own reflective thoughts. In my experience, it is often more effective for them to ask others what they observe about them: they actually reflect by experiencing other people’s observations of themselves. The Active – Reflective scale relates to some extent to the differences between Extraverts and Introverts in the Myers-Briggs Type Indicator (MBTI). The Sensing – Intuitive scale relates directly to the MBTI. You may have noticed that Linda Silverman in her later work chose to focus more on the last two scales, combining them into Auditory-Sequential versus Visual-Spatial. As she explains in her book “The Visual-Spatial Learner” (2002), schools are mainly focused on Auditory-Sequential learners. She shows the existence of Visual-Spatial learners and how different their learning style and needs are. The book remains a rich resource on the characteristics of visual thinking. It is my impression that the first two scales of the Felder Silverman model provide information on kinesthetic preferences. They thereby give an indication how we express our intensity. Through filling in the ILS, I found out that I have a strong preference for Reflective, Intuitive and Global, and a moderate preference for Verbal. I feel this to be a more accurate description of my way of being gifted, rather than “limiting” myself to being just a verbal thinker, even though I am a proficient one. Allow yourself to be surprised by your results on the ILS and feel free to experiment with your responses to the questions to see what happens - especially if you consider your choices very dependent on the context of the situation (XIPs are notorious for such considerations in test environments. HOW IS LEARNING ABOUT YOUR LEARNING STYLE USEFUL? Remember, however that discovering your learning style preference is not about acquiring a label, or feeling discouraged because your environment does not fit your preferred and most effective learning and information processing style. It's about being more aware of the various styles and your personal preferences, in order to better understand yourself, accept your unique functioning, and find more effective uses of your "extra" abilities. You may even want to experiment with the alternative dimension on the various scales compared to your innate preference. For some, the results may (finally) offer an explanation why school did not give you what you expected or wished for - and perhaps why you've continued your life in the way you have. Discovering your learning style preference is about better understanding yourself, accepting your unique functioning, and finding more effective uses of your “extra” abilities. “So I’m not crazy after all!” and “So actually I’m not stupid!” are highly emotional statements, that may – after getting over the initial shock – provide an opportunity to take appropriate next steps in accepting your unique mind and making a good life with it! If you'd like support in discovering your unique learning style and molding your environment to fit it, I warmly invite you to reach out to me. I'd be happy to work with you! 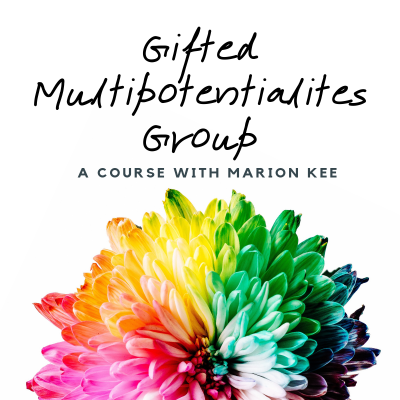 Willem is a coach and author for giftedness. 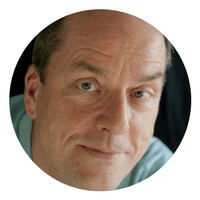 He lives in the Netherlands and coaches gifted people around the world through their giftedness discovery process. 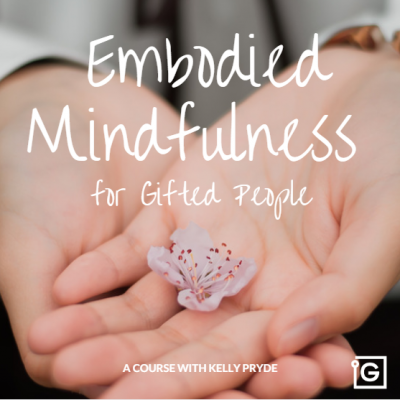 If you have recently found out you are gifted, or have known for a while that you are, but still haven’t integrated that knowledge, Willem can help you come home to your gifted self. Feel free to get in touch with him to schedule a session!